Floods, tornadoes, terrorist attacks—emergency responders navigate myriad disasters with increasing reliance on technology. Rochester Institute of Technology is educating the next generation of emergency responders to take the disaster management chain—planning, response and recovery—to the next level. RIT has introduced an integrated science master’s program focusing on environmental forecasting and disaster preparedness and response. The National Science Foundation-funded program wraps around existing master’s degrees in imaging science (with an emphasis in remote sensing), computer science and environmental science. Graduates will apply the specialty training to their main field of study and gain a comprehensive understanding of the linkages among the business, policy and scientific components of disaster management. The program grew out of the Information Products Laboratory for Emergency Response in RIT’s Chester F. Carlson Center for Imaging Science. Scientist and engineers at the lab serve as a link between university researchers, private-sector service and product providers, and public-sector emergency response decision-makers. The group flew a mission to Haiti for the World Bank to capture aerial imagery in different wavelengths and using LIDAR (laser guided light detection and ranging technology) following the earthquake that struck Port-au-Prince and surrounding towns in January 2010. In that same spirit of multidisciplinary collaboration, the integrated master’s program hones students’ technical and research abilities while educating them in the business and policy aspects of the field of environmental forecasting, emergency preparedness and response. 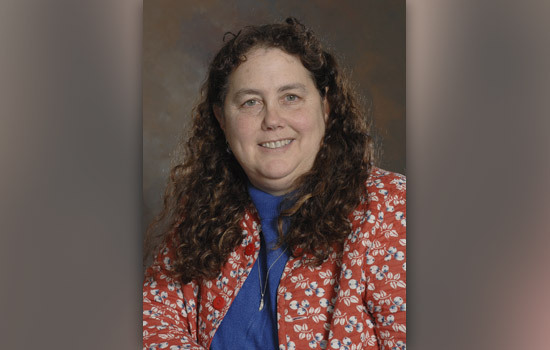 “We will graduate master’s students who understand the scientific and technical aspects of the disaster forecasting, planning and recovery field, and who are also well versed in the policy and business aspects of successful disaster management,” says Stefi Baum, director of the Center for Imaging Science at RIT and project leader. In addition to the degree requirements of their master’s program, each student will participate in a yearlong Graduate Learning Community, exploring emergency response and preparedness topics. Students will also take three core courses in product development, policy, and geospatial systems and complete a collaborative research project solving a problem for a community emergency response or infrastructure organization. In the second year, students will conclude the program with a paid internship and a master’s research thesis. The program supports six students a year from imaging science, computer science and environmental science. The integrated master’s program in environmental forecasting and disaster preparedness and response is affiliated with the Council of Graduate Schools. RIT’s new professional science master’s programs in imaging science, environmental science and computer science were added to its list at www.sciencemasters.com. Professional Science Master’s programs prepare students for science careers in business, government or nonprofit organizations, where workforce needs are increasing. RIT is one of 105 affiliated institutions. A description of RIT’s integrated science program and application information can be found at www.cis.rit.edu/EnvironmentalForecasting.